There is a lot of buzz about helping the native bee population, but not nearly enough talk about the butterflies. I remember seeing Monarch Butterflies all over the place when I was growing up. In the fall, they would fly around us when we went out in our sailboat. It was magical. Their numbers are quickly declining and my children are not getting the joy of memories like mine. The North American Monarch population has declined by more than 90% in the past two decades. This is due to declining in summer breeding habitat in the U.S. and decline in winter habitat in Mexico. 1/3 of the Monarch’s summer breeding habitat has been destroyed, largely in the Midwest. Expansion of row crop agriculture and, to a lesser extent, development, has destroyed 90% of our nation’s native grassland ecosystems, on which Monarchs depend. Milkweed, the only host plant for monarch caterpillars, had declined in the U.S. due to overuse of herbicides by commercial agriculture and conventional gardening practices in suburban and urban areas. Monarch overwintering sites are under threat, especially in Mexico where the forests used by monarchs are under logging pressure. Monarchs are being directly killed by insecticides both as adult butterflies and as caterpillars, in both agricultural and suburban and urban landscapes. What can I do to help the Monarch Butterfly? Regardless of the size of your homestead, from an apartment balcony to 20+ acres, you can create a Monarch habitat by providing food, water, cover, and a place for the caterpillars to grow. Planting a pollinator meadow, like I’ve talked about doing for the native bees, is a great first step. You can also take steps to make sure your yard is eco-friendly. An important aspect of creating a Monarch habitat is planting milkweed. Monarch caterpillars feed exclusively on milkweed. The life cycle of these beautiful butterflies depends on it. With dozens of species of milkweed in existence in North America, you can be sure to find a variety that will grow in your area. When choosing a variety of milkweed, be sure to pick one that is native to your area. Three good choices include common milkweed (Asclepias syriaca), swamp milkweed (Asclepias incarnata), and butterfly weed (Asclepias tuberosa). All three of these species have a wide growing range and are available in most garden nurseries. Check out this Milkweed Fact Sheet for more information about planting milkweed where you live. My kids took the pledge! 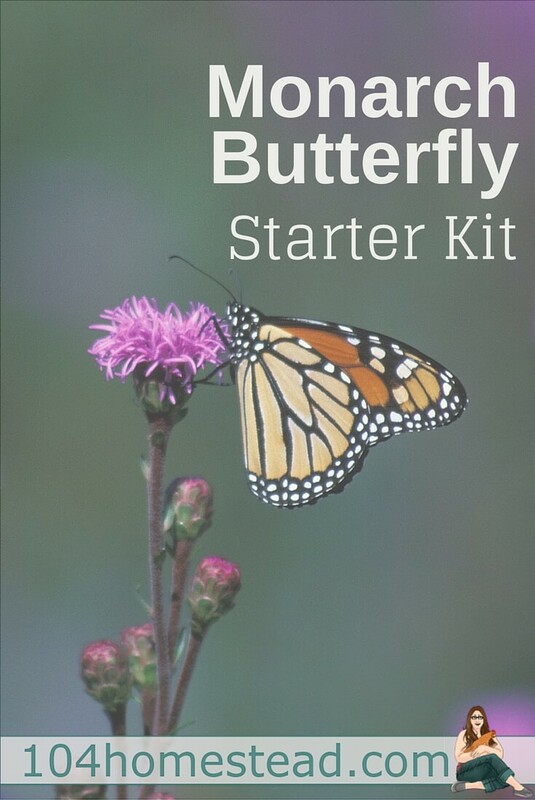 The National Wildlife Federation is offering a free Monarch butterfly garden starter kit to anyone who takes the pledge to help protect and restore the Monarch butterfly population. 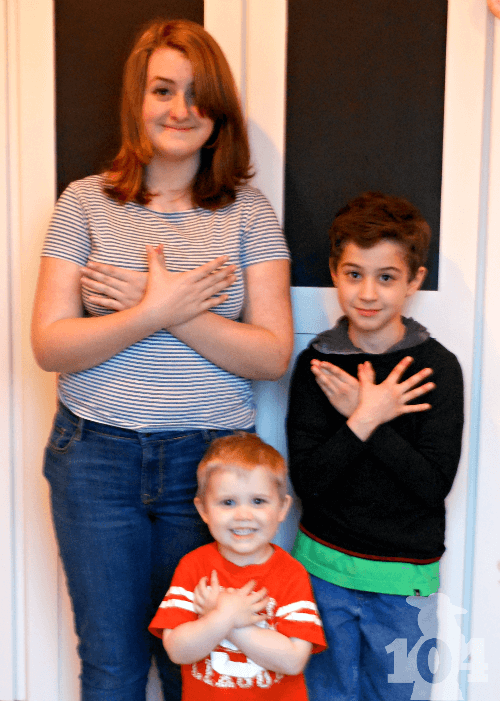 All you have to do is snap a photo of you making the ASL sign for butterfly and submit it here. 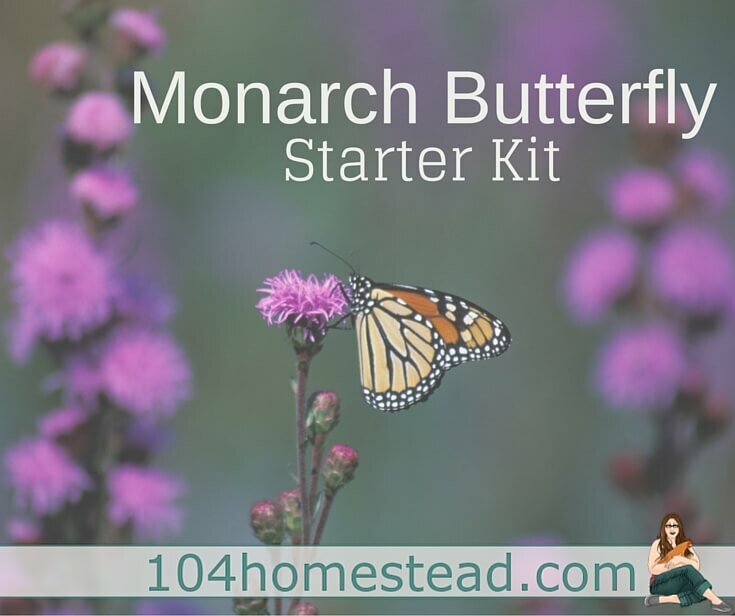 They will send you your free kit which includes a seed packet with native milkweed or a flowering nectar plant, a list of milkweed and nectar plants native to your area, a Ranger Rick Nature Notebook, and a Butterfly Heroes sticker and poster. This is a great way to get your children involved in preserving nature. My children have submitted their photos and will be creating a Monarch garden all of their own this spring. When your garden is in full bloom, why not share it on the NWF’s Twitter and Facebook pages! The National Wildlife Federation has ended the Monarch program for 2015. I hope we will see it again in the spring of 2016. In the meantime, if you want to start a Monarch butterfly garden, you can purchase butterfly garden seeds here and don’t forget about the milkweed seeds. Did they open this free kit up again?! I’m eager to start! We live in Southern California and would love to start a Monarch butterfly garden. My twins have a vegetable garden but don’t know what kind of milkweed to plant for butterflies. The Monarch represents my father that has passed when I was 18 so it’s very special to me. Wanting to get started in Oakridge, Oregon. My three children are excited after waching the documentary “Flight of the Butterflies”. Hi– I have several milkweed plants in my yard. (they came up on their own so I don’t know what kind they are). They didn’t bloom last year so my question is – How do you get they to bloom?? Depending on when they were seeded, they may not bloom their first year. They most likely will all on their own the second year. Is it too late to get a kit? Yes, they stopped offering them in the fall of 2015, but I’m hoping they will open it again this spring. I live on an acreage and do daycare would love the kit to do with them. I planted 4 common milkweed plants from Lowes because I was impatient and wanted butterflies right away. Within 2 months I’ve had an endless amount of caterpillars hatching and devouring my milkweed. Ive had countless butterflies hatch and am looking forward to next year when I will have more plants! What wonderful results! I am so happy to hear it! How do I get a kit. I would pay for it. i planted milkweed three years ago..this is the first year it looks established..I’ve only seen one monarch..I’ve not lost hope…my sister has plenty in NW Louisanna..she also has fennel and butterfly weed…my fennel didn’t make it..at least it didn’t last long.i hope this program continues next year.Thanks Bonnie..ps please email me when program starts up again!! When do Monarchs pass through North West Florida? I live in Okaloosa County. From what I’ve been reading, I’d say you can expect them in your area from August to September. I would love a kit for my 5th grade class.